Ever wondered how to install solar panels? Read on to find out. 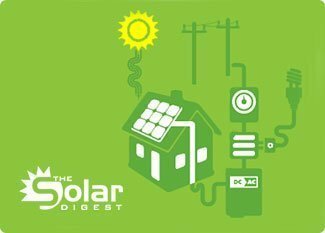 You are one among many if you are thinking about installing a solar panel on your home right now, but there are a number of variables to consider, including how big you need to go to power your home, whether or not you are going to net meter, where you are going to put your solar panel, and, last but not least, how you are going to install it. If you’ve been wondering about the logistics of the installation process, then here is a step-by-step guide on how to install solar panels. Before you get started, it is important to keep in mind the number of variables involved in the size of solar panel you choose to install: these include the size of your home, the types of electronics you run (things like air conditioners, hot tubs, and swimming pools can easily put you over the expected energy consumption limit), and the amount of sun exposure you get. But did you know that these variables can also impact how to install your solar panels? 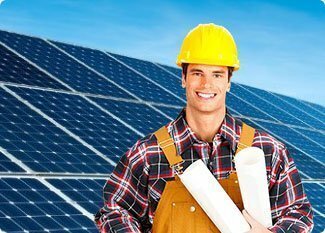 The variables that surround your installation will influence the type of setup you get and how it gets installed, so it’s important to keep all the factors in mind as you prepare to install your solar panel, and it is a good idea to consult an expert, even before you get to the installation stage, so you can be sure to maximize your investment. Just because the sun hits an area of your roof or property doesn’t mean it’s the best spot to install a solar panel. The pitch and direction of your roof, or the slope, direction, and level of exposure of the piece of property upon which you plan to install your solar panel, all impact the efficiency of the solar PV system. The first step when it comes to how to install solar panels properly involves surveying your property to find the installation location that will provide your solar panel with the best possible exposure so you can maximise your capacity. Step two of how to install solar panels involves preparing the area for the installation of the solar panel. That means constructing a platform, but it also means running the conduit from the point of installation to the building that will receive and process the power the solar panel generates. Once the conduit is installed, you can begin constructing the platform to the proper specs of the solar panels—just remember to account for the appropriate pitch so you can maximize the amount of sun your panels can capture. The panels are mounted to the platform using an angle bracket. When considering how to install solar panels properly, it is important to pay attention to the angle of the bracket while mounting the panel on the mounting points. The proper angle to position the array needs to be calculated using meteorological data in order to ensure the proper placement for achieving maximum exposure. The solar modules will need to be wired together using junction connectors or a fuse combiner box. Once complete, the exterior wiring will need to be connected to the interior control panels, and the solar breaker will be connected to a circuit breaker disconnect. This will allow the energy to flow from the disconnect to a charge controller and battery bank for storage, as well as from the battery bank to a power inverter and electrical panel (the home’s main electrical system). You should leave the installation of solar panels to professionals who have experience with wiring to avoid injury or damage to the system. For the final step of how to install solar panels, you need to properly connect the electrical components. To start, you first need to run the ground wire. Once it is in place, the proper electrical connections can be made between the array and the inverter panel disconnect. Once connected, the battery bank is installed near the control panels, connecting the panel disconnect to the battery system. Everything should be looked over once more before initializing a test run. Once complete, it’s time to close the book on how to install solar panels and start reaping the green energy rewards of solar photovoltaic power. How does the solar photovoltaic system work? After you’ve properly learned and applied how to install solar panels, you should already be harnessing the power of our most prevalent natural resource. Once it is all assembled, the solar panel will be able to generate DC electricity from sunlight, convert it using the inverter, and store the surplus in a battery system that can be accessed when needed. Why should you learn how to install solar panels? Because energy that is extracted from the sun is clean, renewable, and sustainable. However, you aren’t just benefiting the environment when you start incorporating solar energy into your energy plan; you are also benefiting the economy. Investing in solar energy means investing in a renewable, sustainable, and easy-to-access resource—a resource that can be commodified in a way that would help promote economic stability. It also presents a viable way to avoid the high and rising costs of traditional energy sources. If you are interested in learning how to install solar panels on your home, don’t get caught up in the complications of self-installation. 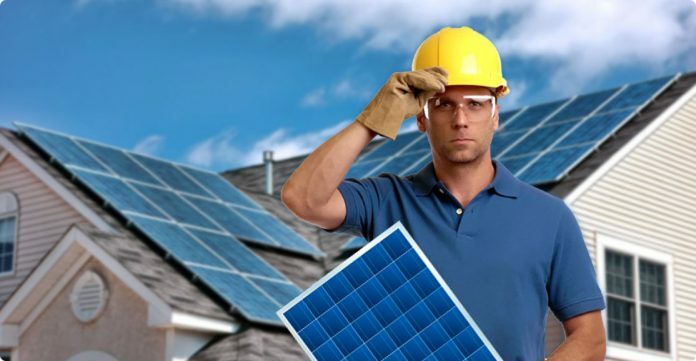 Contact the professionals today so you can get equipped with the proper solar photovoltaic system, and the proper installation of that system.